Bunzl Catering Supplies, leading distributor in the foodservice industry, has collaborated with 13 other fully funding signatories from across the supply chain for disposable paper cups, to sign an agreement with the Alliance for Beverage Cartons and the Environment (ACE UK) to increase PE lined paper cup recycling. Over two stages, this initiative will offer consumers access to a network of Bring Banks to recycle their used paper cups, and crucially provide the right incentives and access for all waste contractors to deliver paper cups to the ACE facility. Along with several manufacturers, high street retailers and a raw material supplier, Bunzl Catering Supplies has created a working partnership with ACE UK, the owner of one of a handful of facilities in the UK which can recycle paper cups alongside beverage cartons being recycled at the facility. This new partnership will introduce a more widely accessible recycling infrastructure, enabling consumers the opportunity to dispose of their cups responsibly. As part of the agreement, consumers will have access to a network of 382 Bring Banks, where they can take their cups to be recycled. 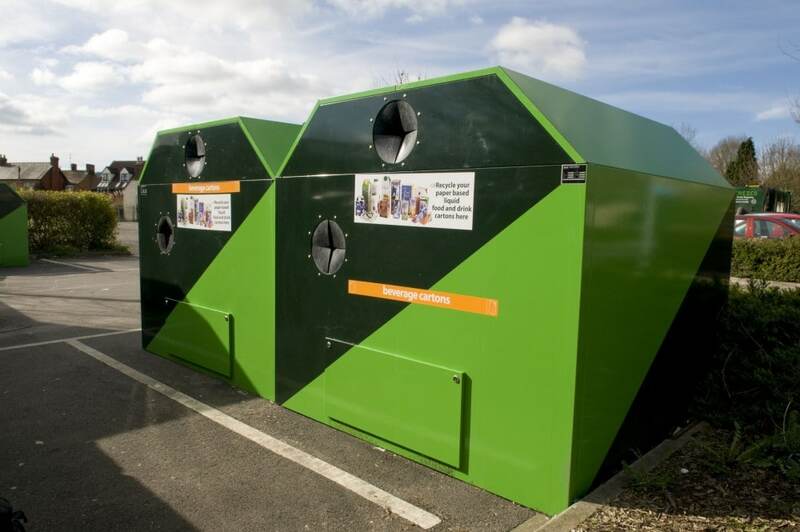 These Bring Banks are owned and managed by ACE UK and will cover 97 local authorities across the UK. Paper cups that have been disposed of at Bring Banks will be delivered to ACE UK’s recycling facility in Halifax for reprocessing. In the second phase of the agreement a further 33 recycling points across an additional eight local authorities are scheduled. Additionally, waste contractors will be able to deliver used cups direct to ACE’s facility for recycling. This will deliver a marked increase in the opportunities for cups to be recycled. The long-term focus for the agreement will be to get cups included in domestic kerbside recycling and to link into waste management company collection programmes. ACE UK has a proven track record of increasing kerbside collection of beverage cartons for recycling and currently these are collected in 66 per cent of local authorities. It is hoped to achieve similar levels of coverage for cups which when added to the Bring Bank service has the potential to cover 90 per cent of local authorities. This collaborative agreement is designed to deliver a long-term solution which complements and builds on the recycling activities achieved by the industry so far. These activities include the Square Mile Challenge, a high-profile recycling initiative organised by environmental charity group Hubbub, in partnership with Simply Cups, supported by Bunzl Catering Supplies, which saw businesses and consumers work together to recover and recycle over half a million paper cups within one month. The agreement also supports the delivery of the objectives of the Paper Cup Recovery and Recycling Group and Foodservice Packaging Association’s ‘Paper Cup Manifesto’ and other pilot schemes. Bunzl Catering Supplies is the leading distributor of catering disposables, food packaging and hygiene supplies in the UK, including single use recyclable and compostable cups.